To each of the men and women in The Last Time I Saw You, this reunion means something differenta last opportunity to say something long left unsaid, an escape from the bleaker realities of everyday life, a means to save a marriage on the rocks, or an opportunity to bond with a slightly estranged daughter, if only over what her mother should wear. As the onetime classmates meet up over the course of a weekend, they discover things that will irrevocably affect the rest of their lives. For newly divorced Dorothy Shauman, the reunion brings with it the possibility of finally attracting the attention of the class heartthrob, Pete Decker. For the ever self-reliant, ever left-out Mary Alice Mayhew, its a chance to reexamine a painful past. For Lester Heseenpfeffer, a veterinarian and widower, it is the hope of talking shop with a fellow vetor at least thats what he tells himself. For Candy Armstrong, the class beauty, its the hope of finding friendship before it is too late. The information about The Last Time I Saw You shown above was first featured in "The BookBrowse Review" - BookBrowse's online-magazine that keeps our members abreast of notable and high-profile books publishing in the coming weeks. In most cases, the reviews are necessarily limited to those that were available to us ahead of publication. If you are the publisher or author of this book and feel that the reviews shown do not properly reflect the range of media opinion now available, please send us a message with the mainstream media reviews that you would like to see added. I laughed and cried reading this book. Elizabeth Berg really understands human nature. I am coming upon my 25th high school reunion, and I could totally relate to the characters. I felt like I knew and had known the characters during high school. I highly recommend this book. Elizabeth Berg's novel, The Last Time I Saw You, is about a fortieth high-school reunion as told through the eyes of several different people planning for the reunion, attending the reunion, and then what happens afterwards. I read the Kindle version. There were a few typos since it is just out, and, since it is easy to change font sizes, I find more run on words than in printed books. Dorothy Shauman, the high-school beauty, now divorced and having a difficult time being alone and with her grown daughter, sees the reunion as a chance to get back together with chief jock Pete Decker. But Pete is having problems of his own. He still has his good looks, but he finds he is with a woman he doesn't like or respect. He wants his wife back, but she has decided to move on. Lester Hessenpfeffer, the school nerd and valedictorian, is now a successful veterinarian. However, since his wife died, he fears he will never find love again. His office manager talks him into attending the reunion even though he would rather stay home and take care of his patients. Mary Alice Mayhew was never part of the in crowd, and doesn't know why she should go to the reunion. But she's curious about how her classmates turned out. She's been helping care for an elderly neighbor who decides she should go to the reunion and he goes with her. Candy Sullivan, a high-school beauty, has just learned she has ovarian cancer. Her husband has all but ignored her for years and now he is concerned about her and offers to go to the reunion with her even though he refused to before they knew how serious her illness was. She goes without him. The author did an excellent job writing in the various points of view. In one place, she partially repeated a scene to show it from another characters viewpoint. The story is about what happens when these characters and their friends and classmates get together again. Elizabeth Berg was born in 1948 and that makes her eligible to have attended a fortieth high school reunion. Since I've been to my fiftieth reunion, I know she is talking from experience. It was a wonderful experience reading this book while thinking about my own reunion. I just wish there had been more follow up on the characters before the book ended. But it was just enough to let us know what happened. I guess I wasn't ready to say goodbye to my new friends. 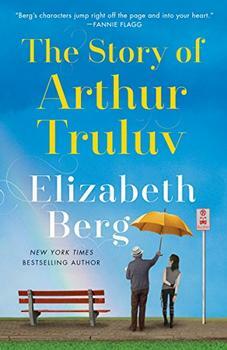 This was my second Elizabeth Berg novel, my first having been Once Upon a Time There Was You. While I did enjoy reading this one, I was surprised at the level and frequency of profanity in comparison to Once Upon a Time There Was You. I think had that been toned down a bit, I would have enjoyed the book more and found the characters more endearing. I'm not sure which book is more reflective of the "norm" for Elizabeth Berg and I do intend to read more of her novels; I will likely read them all if I find the majority to be more in line with Once Upon a Time There Was You. I agree with the statement in the review by Sidney Frost regarding more follow-up on the characters before the book ended. The ending seemed almost abrupt, but wasn't unsatisfying. Overall, I found pleasure in the book and would recommend it to others. I expect to find myself becoming a fan of Elizabeth Berg.